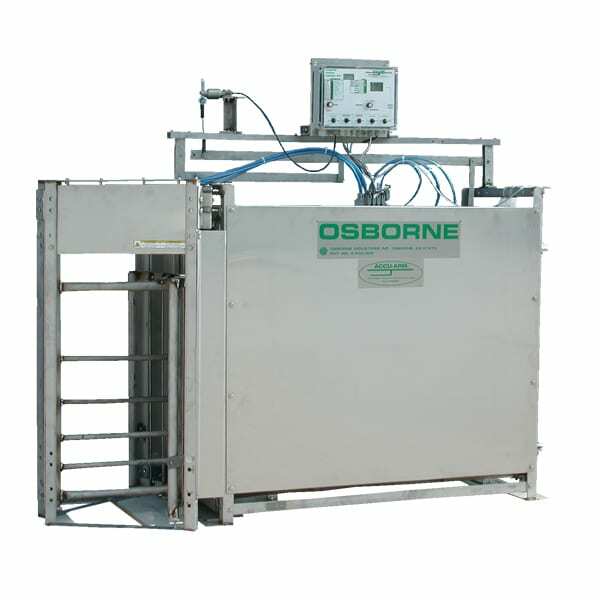 The Osborne ACCU-ARM Survey Scale is the sorting scale for the Weight Watcher Growth Management System. The Survey Scale measures the weight of each pig each time they pass through the scale between the feeding and watering “zones.” The scale sorts for target phase feeding and can be set to automatically sort animals for market. 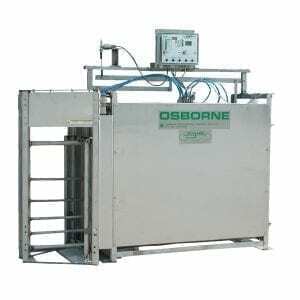 The controller on the scale rapidly detects and stores the weight and sorts animals based on sorting decisions that can be made directly at the scale or with the Daily Weigh software application at a PC. Additional features can be added to the Survey Scale, like a spray marking kit to assist in visually identifying animals. Survey Scales are also RFID-ready and can help monitor individual animal growth rates. This model of Survey Scale has a combination of hot dip galvanized steel and 304 stainless steel metal parts. Learn more about the Survey Scale and Weight Watcher Growth Management System. Used to visually identify certain animals. Used to monitor individual animal growth rates. Requires RFID tags, Antenna, and Interface. 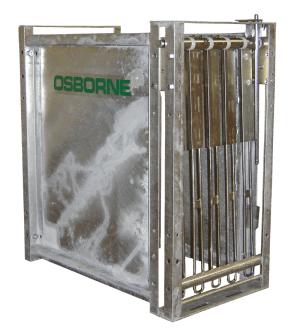 * Contact Osborne Customer Service for more information on detailed requirements of the Weight Watcher System.